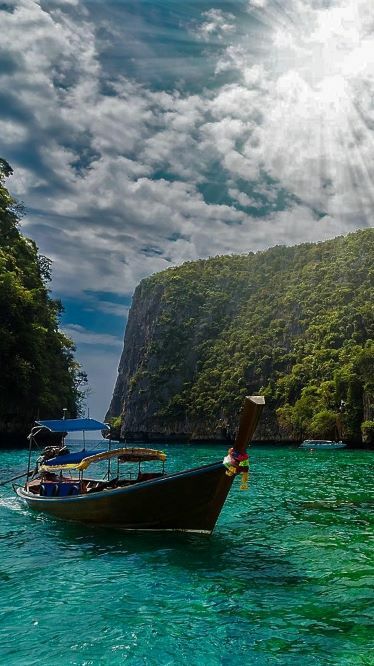 Thailand has so much to offer the active, adventure-seeking traveller - this tour starts in the vibrant, colourful capital of Bangkok, with its majestic monuments and neon nightlife before featuring a stay in a rustic rafthouse in Kanchanaburi, and the temples of Ayutthaya. 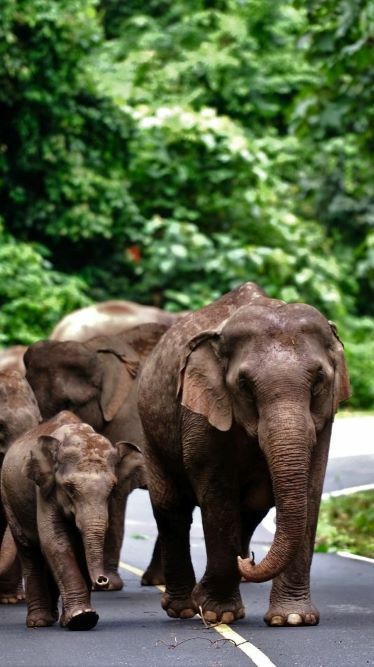 In northern Thailand we visit Chiang Mai, adventure capital of the north, for some jungle trekking, bamboo rafting and an elephant ride, before returning to Bangkok. Suited to the budget travellers’ pocket with plenty of free time, this tour offers fantastic value for money and the peace of mind of a well organized tour. 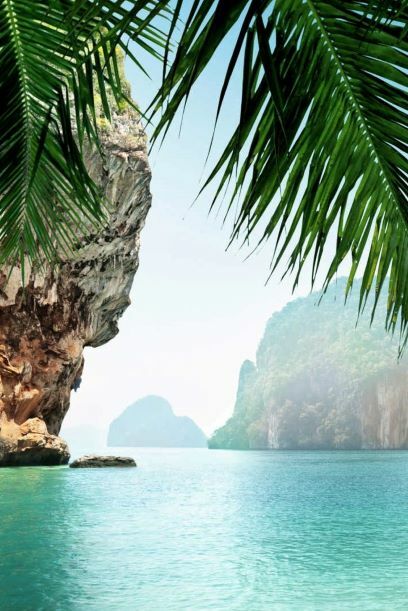 Welcome to Thailand! 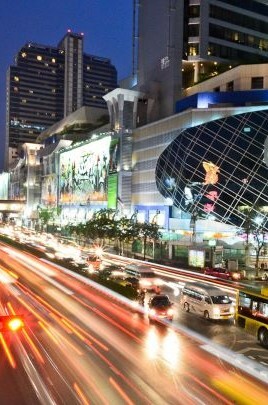 Upon arrival, pick up and transfer to hotel Bangkok. Enjoy 1-hour foot massage to start the holiday. Breakfast at hotel. 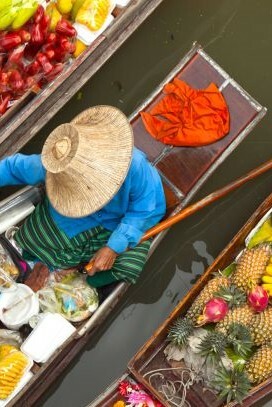 Bangkok - the most pleasant way to get around is by boat on Chao Phraya River. 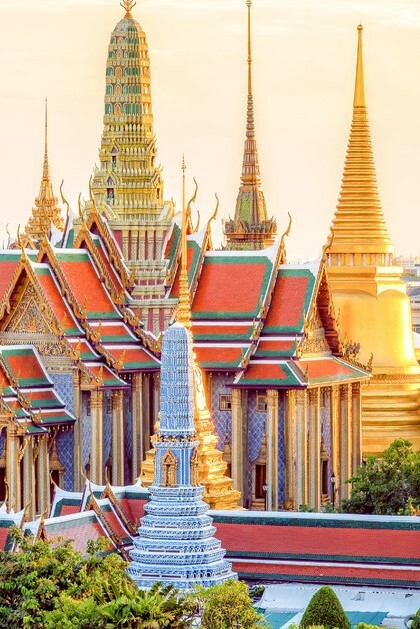 Discover the Grand Palace, arrive at Wat Po - the enormous reclining Buddha in his buzzing temple. Lunch. Visit The Temple of Dawn. Have dinner. Breakfast at hotel. This morning explore China Town, continue to visit Klong Talad - a wholesale flower and orchids market. By Tuktuk criss-cross Rattanakosin, the old island heart of Bangkok and arrive Wat Saket Temple. After that, towards Siam Square. The afternoon visit the nearby wooden Jim Thompson house. 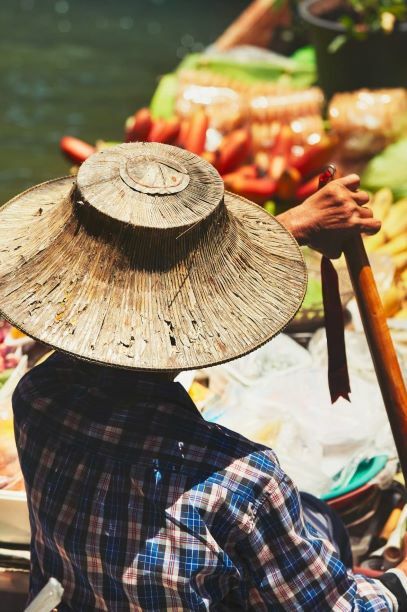 Breakfast at hotel, discover the Mahachai fish market, reach the Gulf of Thailand and disembark right into one of the country’s biggest fish markets! 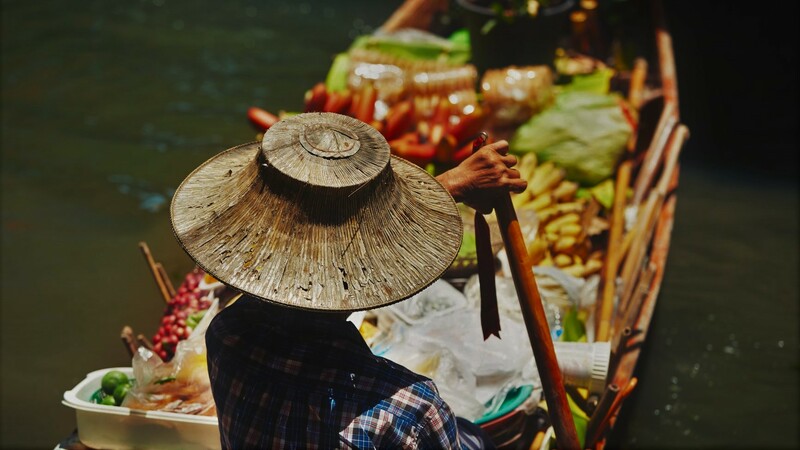 By boat we navigate narrow canals and enter the floating market of Damnoen Saduak, and explore the Museum and war-cemetery in Kanchanaburi on the river Kwai. Breakfast at hotel. Move to Ayutthaya - the former Siam royal capital. Have lunch at local restaurant. Overnight on the limits of Khao Yai - Thailand’s oldest National Park and a Unesco Heritage Site. Breakfast at hotel. Morning explore the park with local ranger. A break at a waterfall. Lunch. Drive to Khorat, Isan province, spend the next two nights here to explore the sand stone sanctuaries of the Angkor-era and enjoy some spicy Isan-food. The afternoon is at leisure to relax after the jungle trip of the early morning. Breakfast at hotel. A full day to learn all about the Khmer style temples such as: the most striking Khmertemple complex in Thailand is Phanom Rung, Muang Tam-temple. Continue to visit Dan Kwain village. Try some kind of spicy food in evening markert. Breakfast at hotel. Leaving Isan and continue north-west. 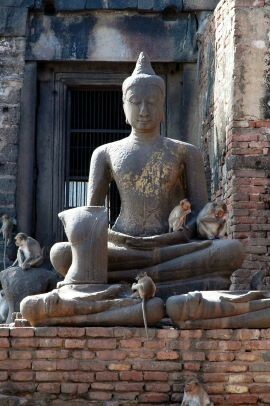 Stop are the ‘monkey temples’ of Sam yod and San Phra Karn in Lopburi. Visit Phitsanuloke on the Nan River. Wake up early and walk the backstreet to the temple, join the merit-making and bow your head for the monks. 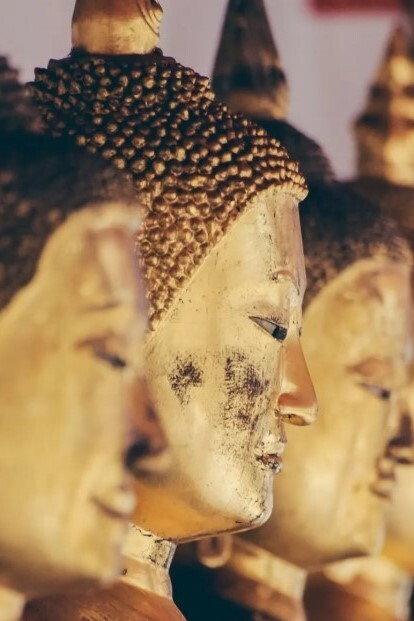 After breakfast, visit the folklore museum, then visit the Wat Mahatat will be your first real impression of a Sukhothai-era temple, see the Phra Buddha Cinnarat-image. 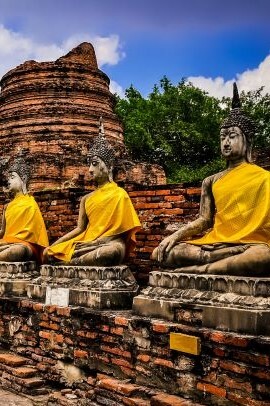 Visit the vast Unesco site of the Sukhothai historical park. Last visit to Lampang provincial town. Breakfast at hotel. Explore the wooden town centre of Lampang on foot and by horse cart including teak wooden Ban Sao Nak, Wat Don Tao, discover Lanna-style Wat Lampang Luang outside town. Visit the handicraft villages of Chiang Mai and continue with Orchid Farm. Breakfast at hotel, leisure time in the morning a heading to the hills to learn all about a local tribe, the Lisu people. Have lunch in Lisu-lodge. Join in Himmapaan reforestation program. Back in Chiang Mai, climb high up Doi Suthep and its magnificent temple. Breakfast at hotel. Exploring the center and its maze of lanes and alleys dotted with temples on foot. 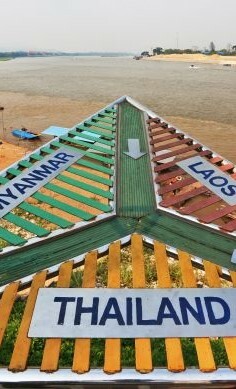 Moving north to into the notorious Golden Triangle now, where the borders of Laos, Myanmar and Thailand join on the banks of the Mekong River. Visit The Grand Hall of Opium it explains all about the cashcrop opium and its history. Breakfast at hotel. 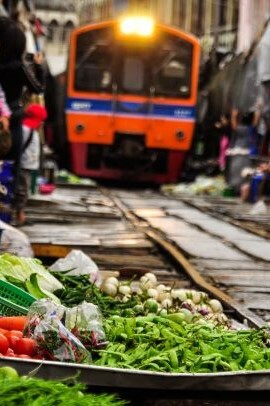 Visit Mae Sai market. Explore Doi Tung hill - where one of the Royal Projects - has tried to get the locals of opium producing and into other crops. Discover Chiang Rai town. Have dinner. 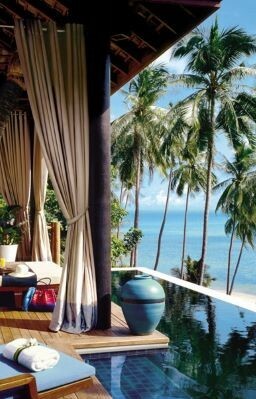 The morning is at leisure until your transfer to the airport for your flight departure.